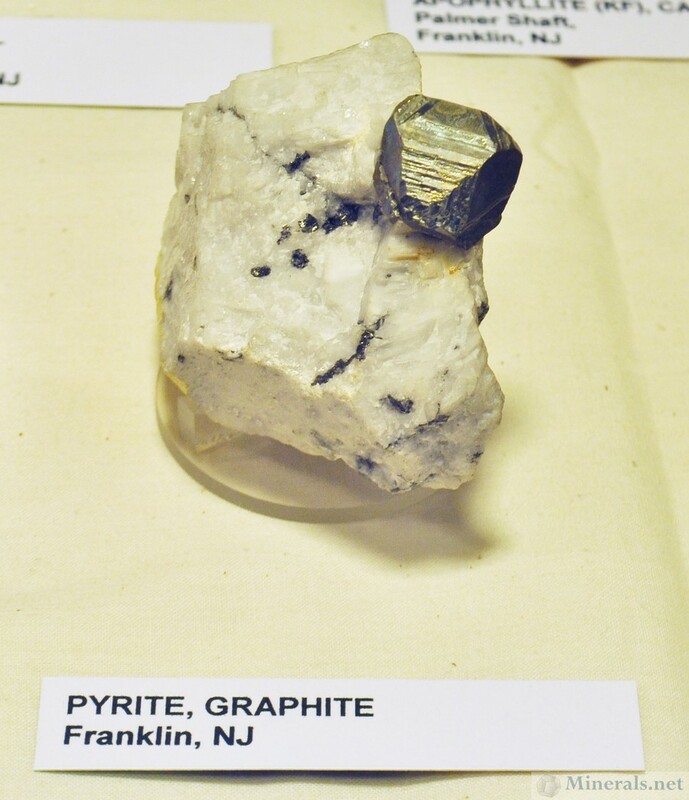 This past weekend I had the opportunity to visit the Franklin, New Jersey, Fall show. The weather was extremely hot for late September, and was in the upper 80's. This made the outdoor part of the show a bit uncomfortable. I was also very surprised at the $7 admission price to the show! I don't remember the cost being this high previously, and I certainly hope the show staff takes into consideration that this will alienate supporters of the show. 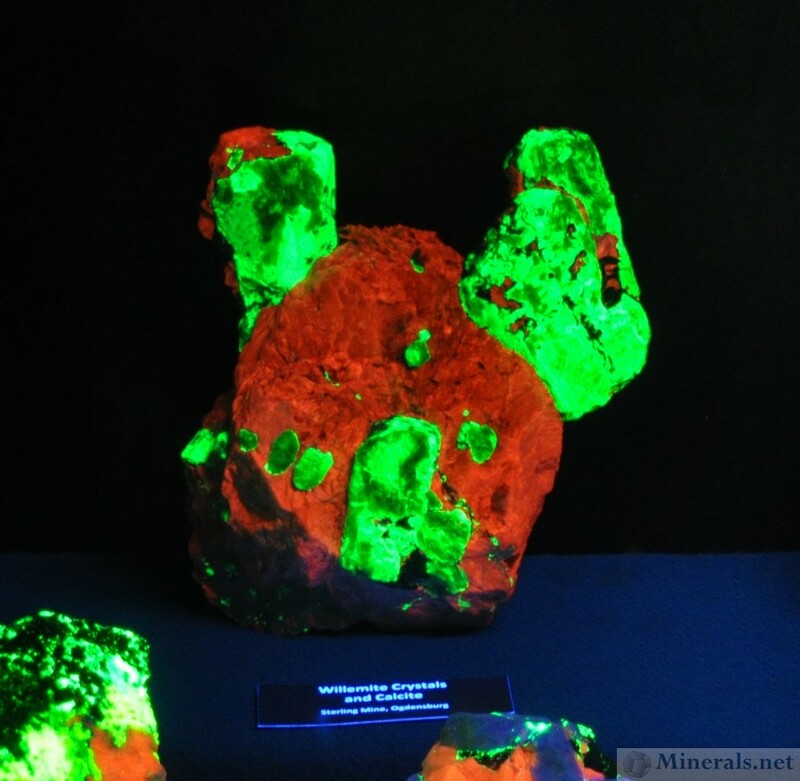 I took photos of all the display cases and some of the fluorescent cases, and zoomed in on some individual pieces. I did not have my tripod with me as I normally do, so the quality of the pictures is not necessarily the quality I would like these pictures to be. 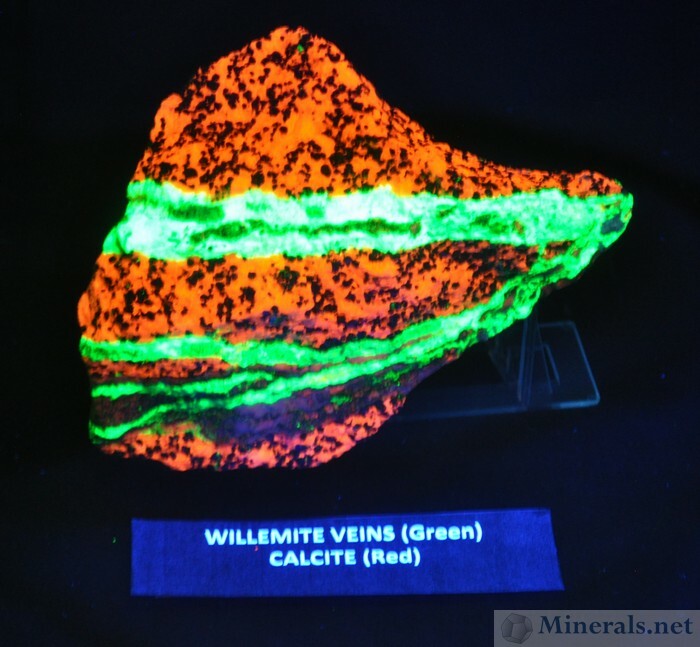 We have emailed our September 2014 Minerals.net online newsletter. Please click the image below for the larger version. 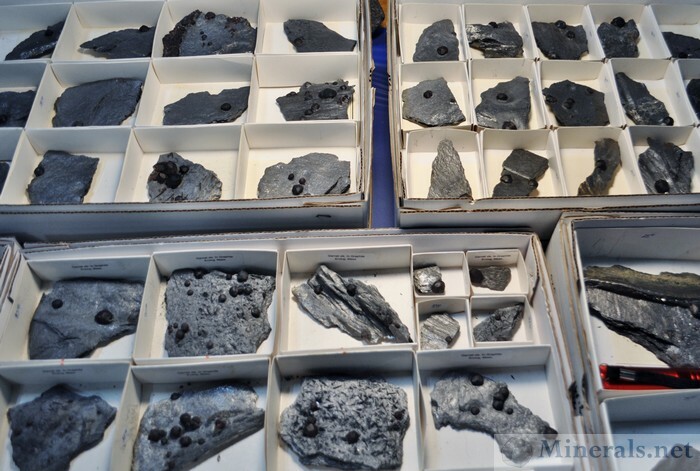 One of the new finds (and big hits) at the Springfield Show this year were the garnets from Red Embers Mine, released to the mineral market by Jason Baskin. 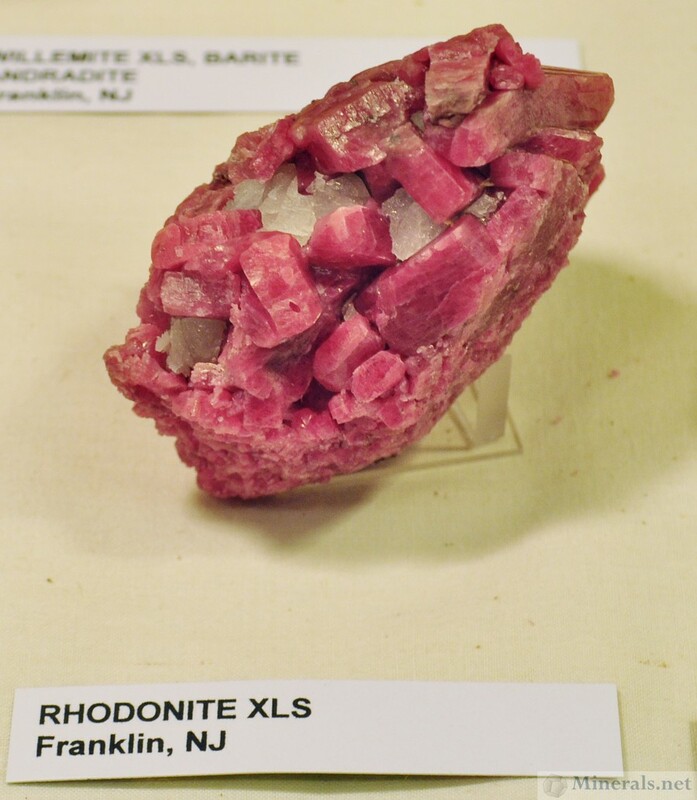 The American Museum of Natural History, Yale, The University of Arizona, and many others purchased specimens at the Springfield show this past August. 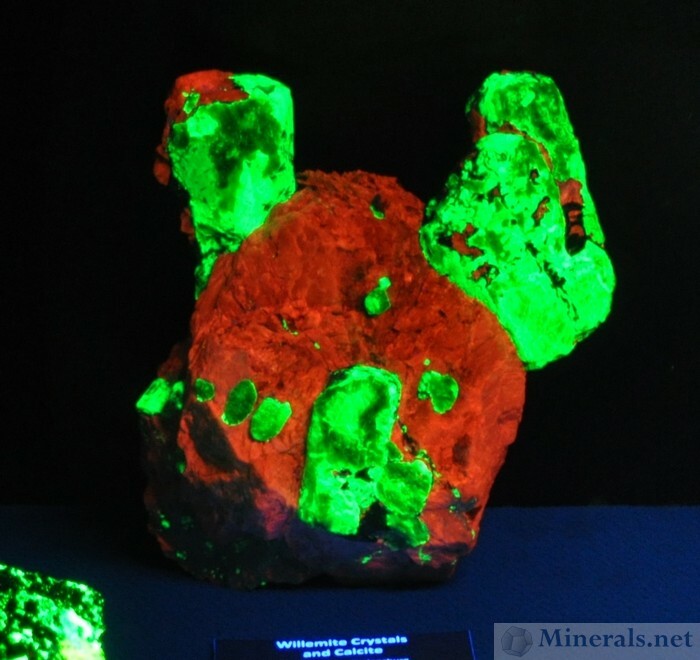 The project started 16 years ago when Jim Garabedian who worked the garnet mine in Erving, Massachusetts, (then named the Two Fat Guys Mine), brought James Zigras and Jason Baskin to the site to collect for a few hours. Since getting permission to work the prospect 8 – 10 years ago, Jason has been mining by hand with sledge hammers, chisels, and wedges with his cousin Kyle Baskin and Uncle Kevin Baskin. 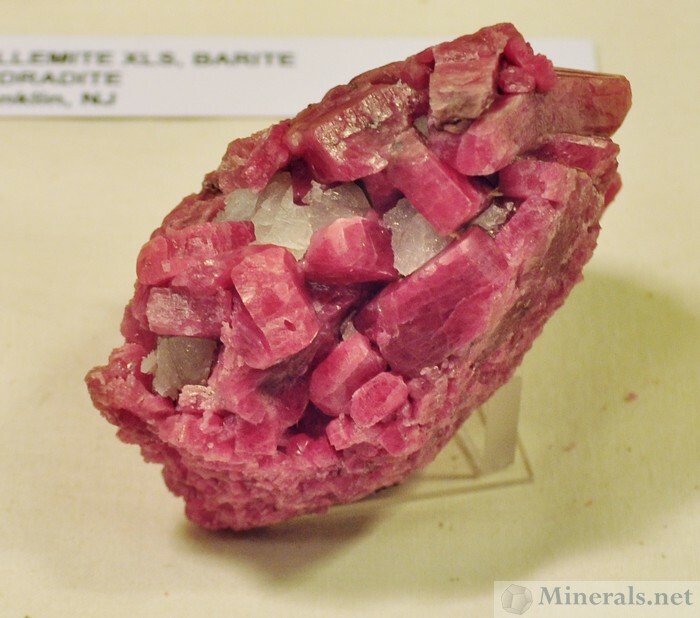 The almandine/pyrope garnets are found in a massive graphite vein which varies in thickness from one foot wide to six feet wide in some areas. 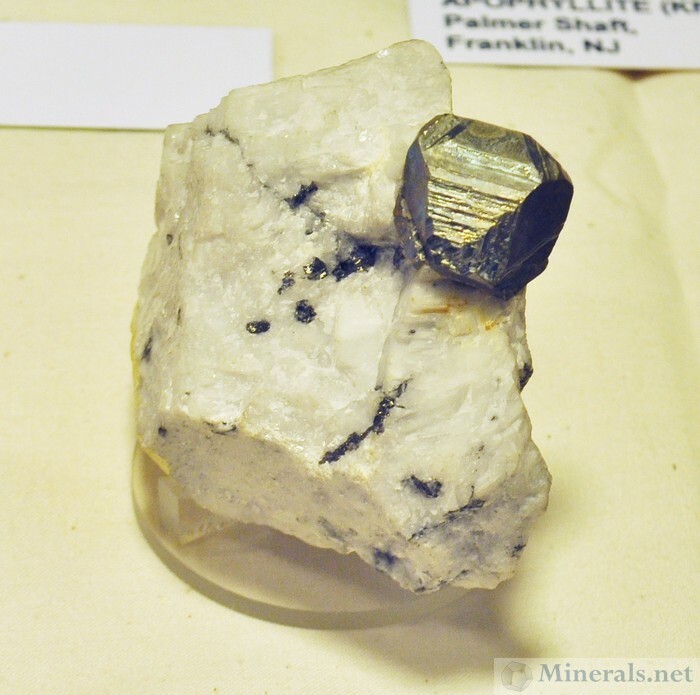 Garnets form sporadically on planes in the graphite on mica veinlets that are only ¼ mm to 1 mm thick. 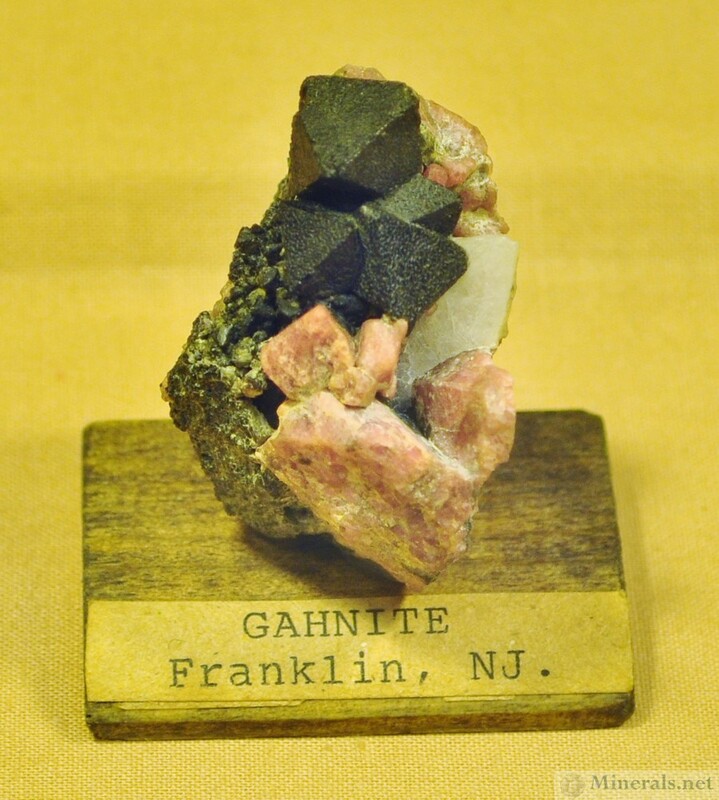 A university in Connecticut identified an accompanying mineral as black dravite tourmaline, which also occurs in the graphite between the garnets. 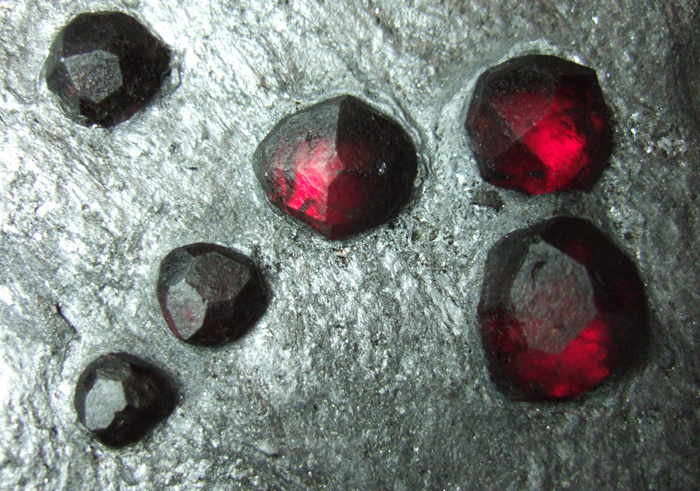 The bright red garnet crystals range in size from 1 mm to 1-1/8” tip to tip. 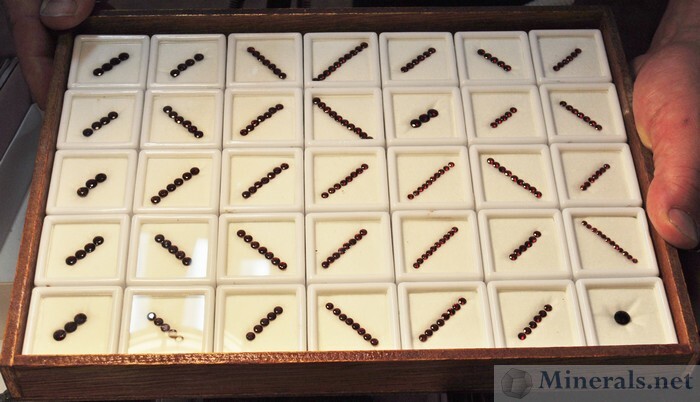 The garnets are gem quality and the largest stone cut so far is a whopping 4.72 carats. 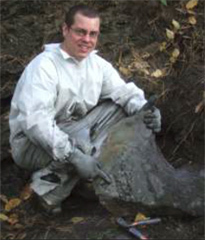 The specimens are processed using air abrasion using a unique plastic blasting media provided by Kramer industries. This process is aggressive on graphite and gentle on the tourmaline and garnets. The specimens are abraded on both sides so that the garnets are visible from both sides of the specimen, allowing light to show through and show the gem quality of the crystals and the phenomenal color. 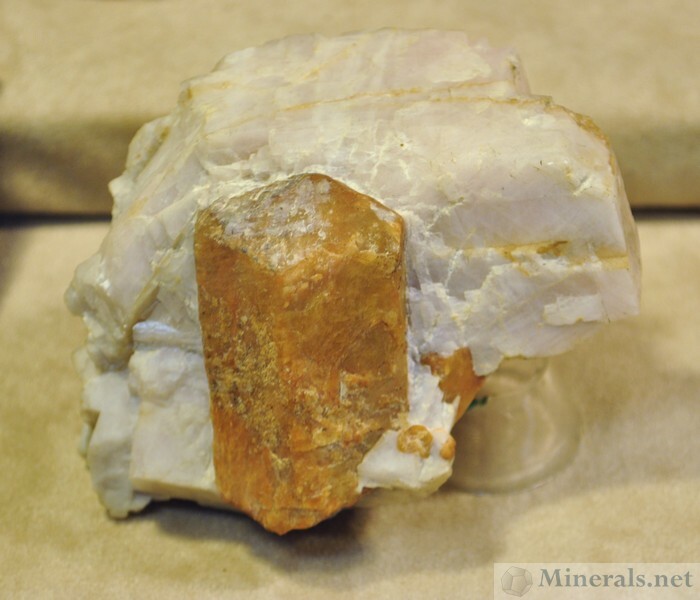 A typical 5” x 5” specimen takes on average an hour or more to process to expose the garnets. The largest piece took over 20 hours to abrade and prepare. Processing of the specimens presented at the Springfield show has been progressing, mostly in secret, for the past four years. Almost 50 flats have sold in the last 2 weeks, exhausting almost the entire inventory processed in the last 4 years. 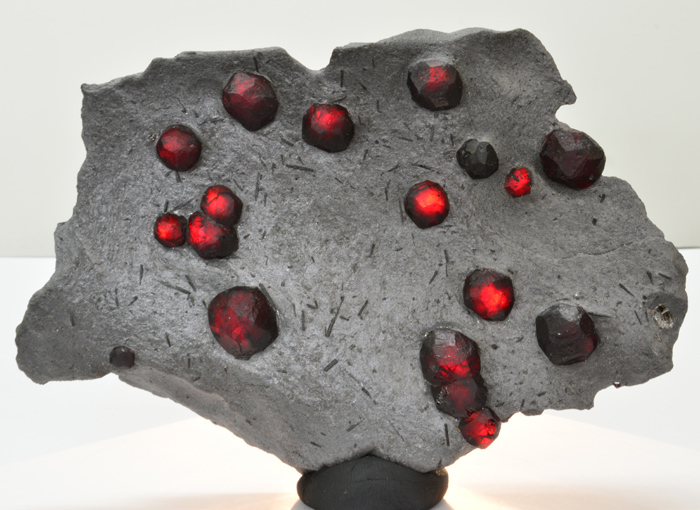 Some of the largest specimens have upward of 70 garnets on one specimen, with individual crystals up to the size of a dime. The largest specimen to date is 16” x 11.” The site is closed to collectors and is both posted and under video surveillance. 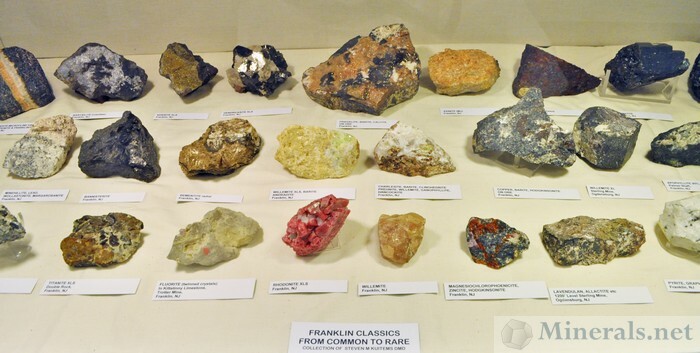 However, specimens can continue to be obtained via Jason Baskin who will be selling at the Franklin Show and most likely at the North Jersey Mineralogical Society fall swap and sale at the Sterling Hill Mining Museum. 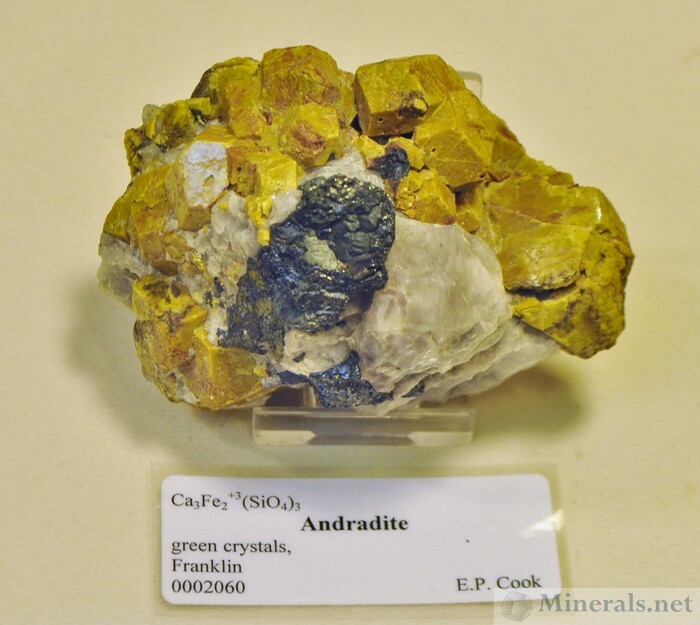 Select specimens and cut stones have also been featured by Alan Benson at the Marriot show. 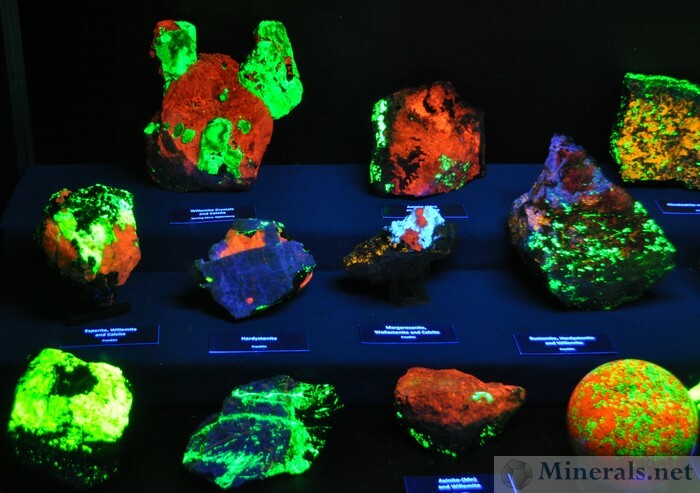 Jason is also working with Eric Greene of Treasure Mountain Mining on articles for Rocks and Minerals and the Mineralogical Record.